I’m not really in a rocky mood, quite the opposite, life couldn’t be better. It just seemed an appropriate tittle. 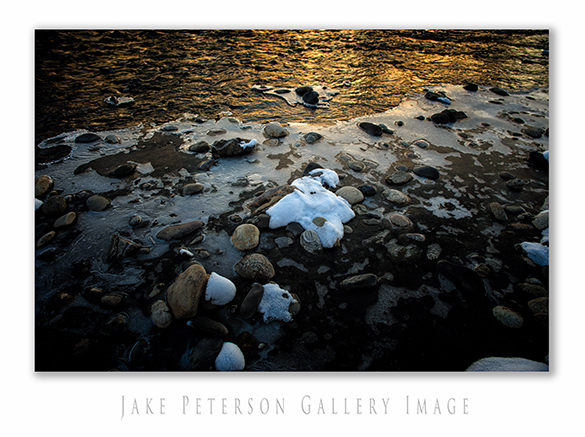 When I was down at the Gallatin playing around I noticed the ice that had formed around the rocks. 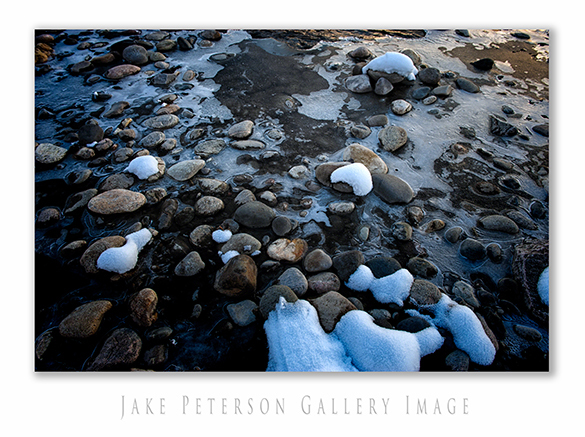 It was quite a distinct difference as opposed to the ice that was up in Hyalite Canyon. Not a big surprise considering the difference in elevation. 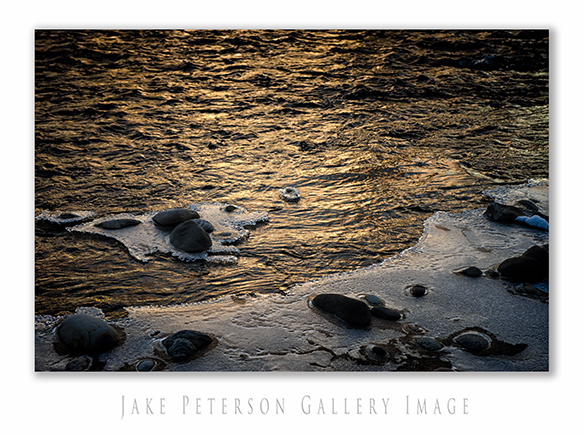 The ice formed this great contrast between the light and dark, due particularly to the sun setting and casting a shadow over half of the rocks. Always fun playing with patterns in the natural world.